Sorry Jason, this is not answering your question, but I have other questions too. 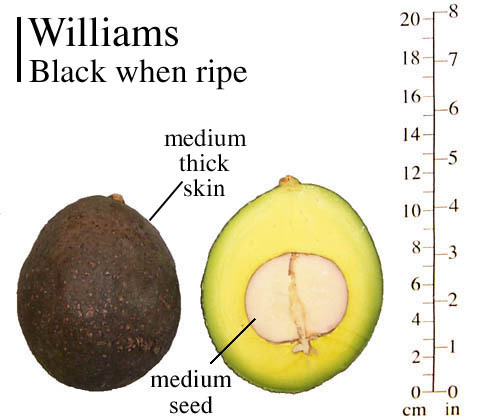 (I'm wanting to try Avo grafting for first time.) Which seedling makes the best rootstock, with choices being Reed, Hass, Fuerte or Shephard as seed source? I'd preferably like it to be a bit dwarfing, but disease resistance is foremost. And, what type of graft do you find takes the best? Do you do anything special post-grafting? 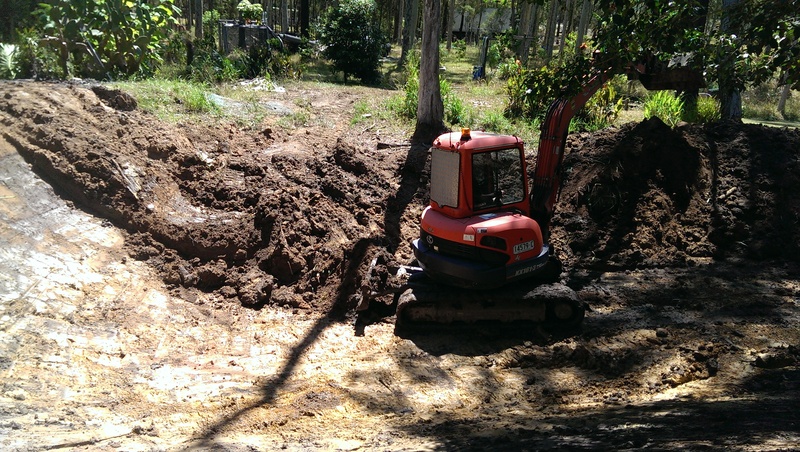 When is the best time of the year for Avo grafting? Ok VF well what I do is just cut the scion just as its started growth. I only use very small rootstock, slightly less than pencil thickness. It doesn't seem to matter at all what cut I use. Even a a simple diagonal cut has worked for me or a V. I used to cut the scions then dip them in water then join them. Last night I skipped the water. 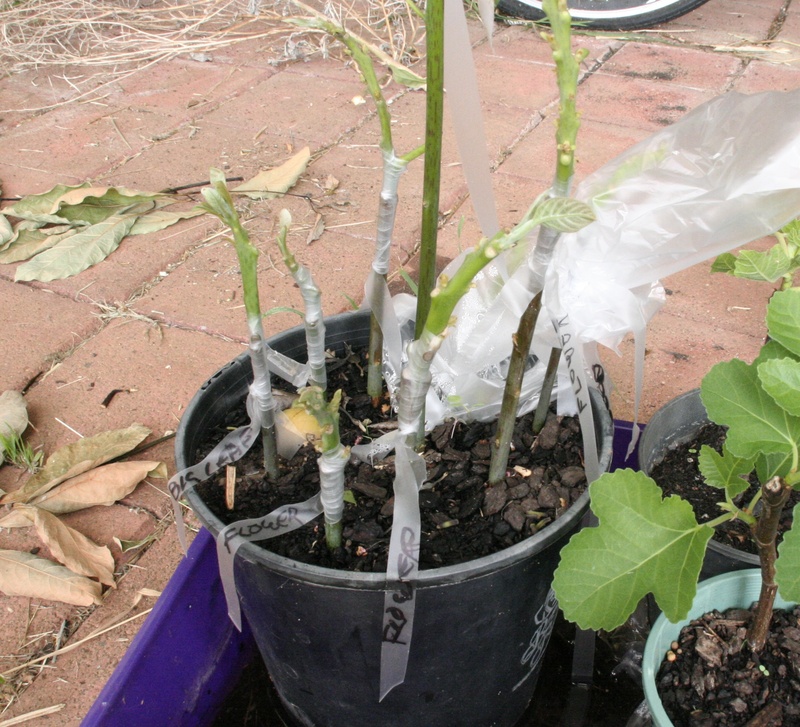 Then tape them up, then I tie one of those little freezer bags over the graft. I then leave them in the shade. Temp wise when its 20c or so seems good. Its about 30 odd here today so I might be pushing my luck or maybe they will just heal faster.. Tomorrow is going to be 40 so they will need to come inside tomorrow. I think if you use a sharp knife and put a bag over them you should at least get a couple to take out of 10 first try. I use any kind of seed. I think this batch are on Hass which is probably the strongest grower in the cool conditions I have. Thankyou Jason for your help, nice and clear. :) Google left me cross-eyed. Hopefully my seedlings should be a good size soon to give it a go (weather cooler soon too). Your Hass sounds like a beauty! You must have good growing conditions too. 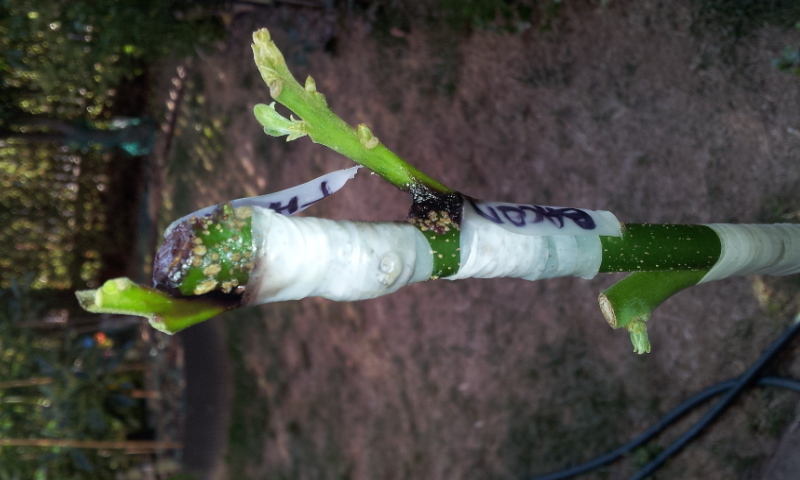 This is a picture of a graft I did last week. Anne posted on here a few weeks ago about her Mexicola avocado so I asked her if she could send me some scion which she kindly did. Heres hoping a few take. Ill post some pics if my grafts take. I'll be a couple weeks until I know. The thing is in October you have flowers, so you can't really get a good scion until the second flush (now in Victoria). Looks like you have some takers there now Mark. 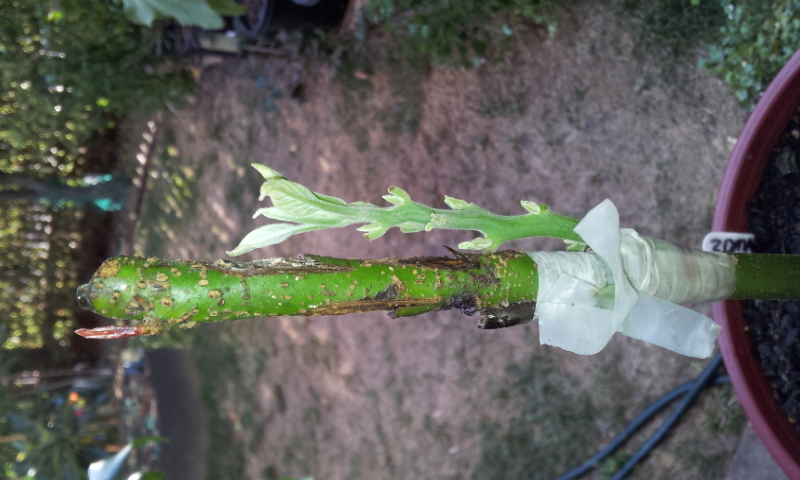 I took the bags off today for a few hours to clean up any buds from the rootstock and generally let them air out. Will put the bags back on I think for another week just to be sure. But some of them seem to be pushing already. It takes me a year to grow the seedlings, trouble grafting them and then growing them again. I agree Jason, after propagation supplies and factoring one's own time and energy I've never seen the sense in selling plants considering the prices they go for. I have no idea how these sellers on ebay are turning a profit. Here's a couple I did last year. The small one on the left is a Hazzard and the one substantially larger is Secondo. They both look a bit ragged just surviving a severe drought. Two varieties I don't have those. I think if there's a week in early Feb next year without a major heat wave we will have to organise a big scion swap up and grafting session to spread the varieties around to everyone. I better get some more seedlings going for next year. Yes I have heaps of strong seedlings but the weather didn't suit this year. Just no water, different story now, won't stop raining. 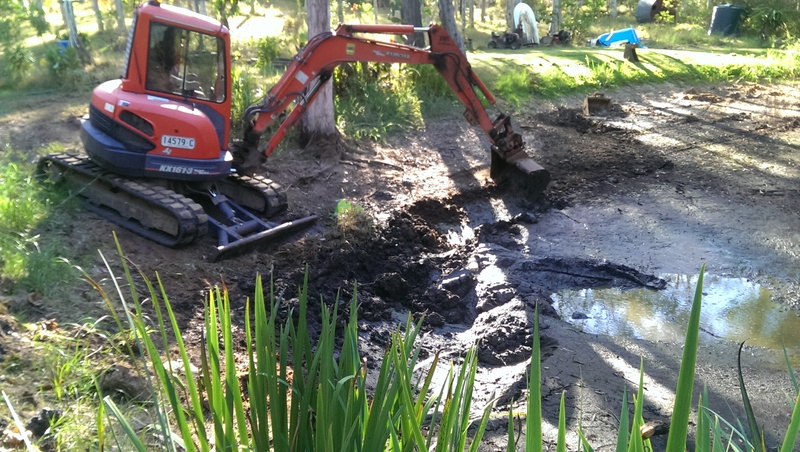 Luckily I dug the dam out to four times it's capacity, so should be OK next drought. 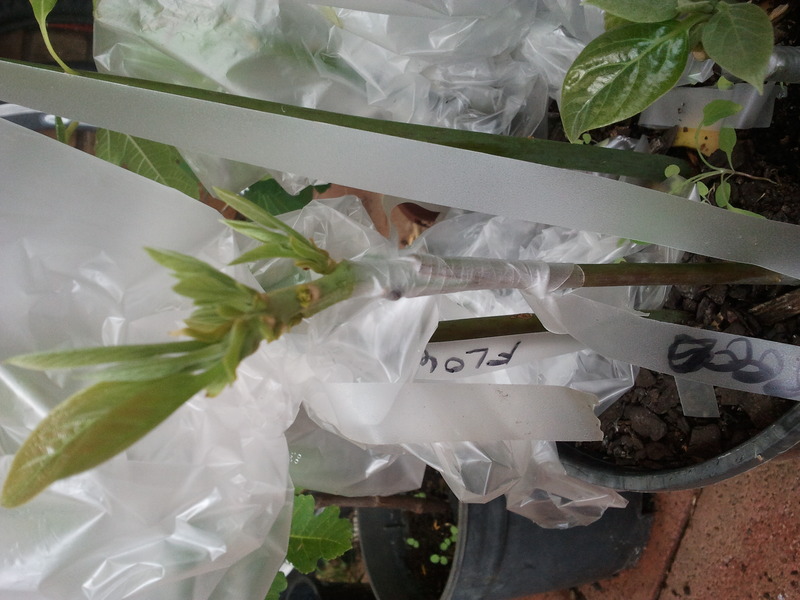 I have a better take up rate in early spring, but I'll do some more if I can find some scionwood suitable for grafting. I have Reed, Wurtz and the above two cv's. 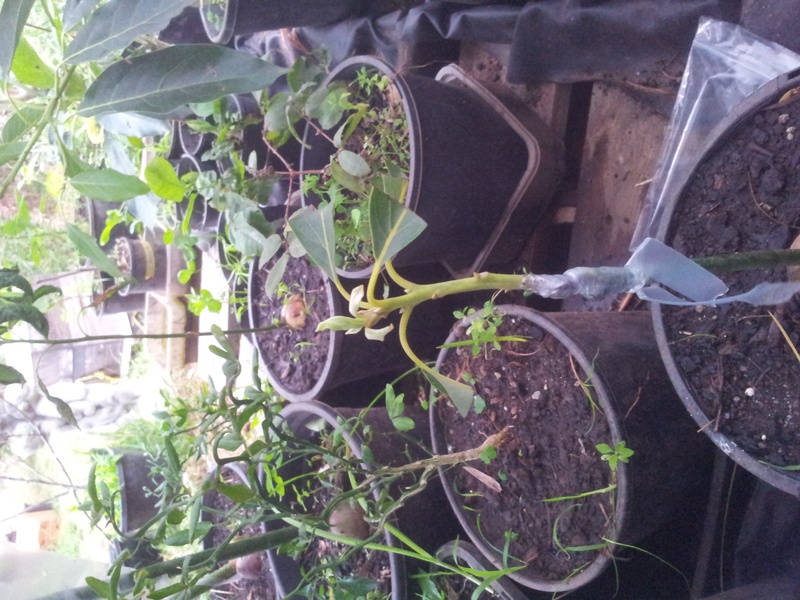 Its about 5 weeks since I grafted the mexicolas. At this stage it looks like I have about 60-70% success rate which I am happy with given that Anne sent the scion through the post and that they went through a heat wave shortly after grafting. I set up a mister on a timer to wet a sheet that I had pitched over them like a tent that came on every hour for a couple of minutes to try and keep them cool which seemed to help. Its still early days but looking good at this stage. Good stuff Paul, we will watch with interest how that one performs for you. 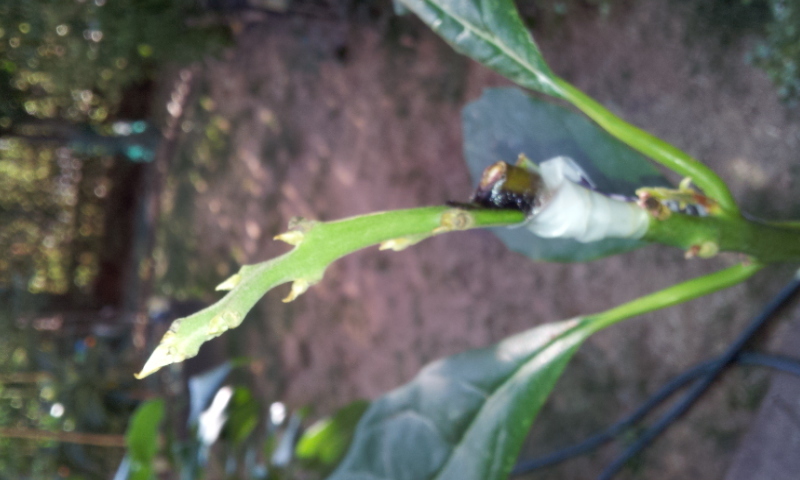 This is turning out to be the best Avocado grafting thread I've seen in a while so I'll keep updating it. 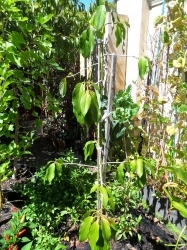 The reason I grew those seedlings in the first place was because a seedling Avocado volunteered itself right next the the house, grew very rapidly and flowered within five years, might have even been four years. It's been two years since and it hasn't set fruit yet. I was hoping it would have by now but to be fair its still maturing. In any case it's right up hard against the house and is some 15 feet tall already for it has to go soon. So the mission was to graft this tree in case its a type A Mexican fruit which are very scarce and would be quite useful. There's at least one other seedling growing within a couple inches of this one (hard to tell but could be a third too) in any case the second tree is very unusual and distinctive and even faster growing. I call this one "big leaf" because its got very wide leaves, really strange one. 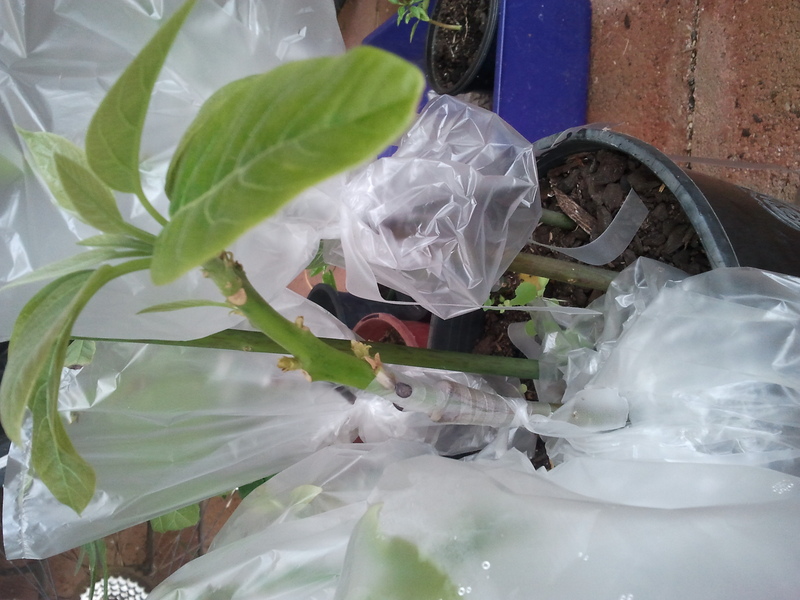 So in my pot pictured above I've got something like four gAvocados "flower" which is the flowering seedling. Of which three have definitely taken. One of "big leaf" which might have taken. Three of Reed, two of those have taken. I also have one of "LC" which is the very large purplish leafed seedling I have which threw its first flower this year. I don't know if this one has taken but it's just as a backup and not so important right now. All the grafts in this pot which pushed first were standard V grafts, nothing fancy and that's the graft shape/cut I've had most success with lately. One of the Reeds that's pushing was a diagonal / graft but it's not been quite as quick to heal. Because they are all in one pot I have a big of work to do soon in moving them either to other pots or straight into the ground. I don't really have enough space for that many Avocados. So I'll probably just plant the two Reeds and one of "flower" and the "big leaf" if it takes. The others can go in pots. In case anyone is wondering how I'll transplant these it'll be with the patented Jason wet transplant technique. Which is tip them all out in a big bucket/bin full of water and then fish them out and replant in muddy soup ground or muddy soup potting mix in a pot. Leave drain and you're done. I'll take more pictures soon, I'd like to unwrap the tape to show the healing now but its a bit early for that really. Did any of those large purple avocado seeds I sent you sprout Jason? Brendan yes, I have the purple ones you sent ready to plant out now:). Well so far I have 7 of the nine I grafted growing. The other two might push still. Lets see. 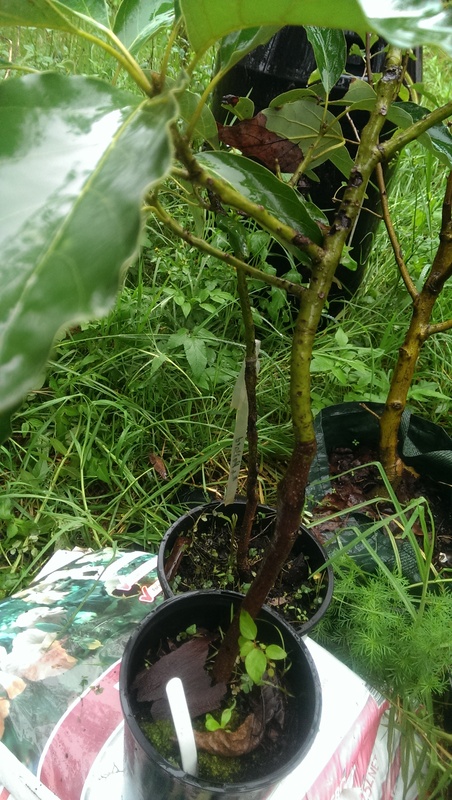 Hi, I have a few questions about grafting, firstly, do you just cut branches off another avocado tree to use to graft an avocado seedling? and second, how old should the other tree be that you are cutting from to use for grafting your younger plant? Hi. 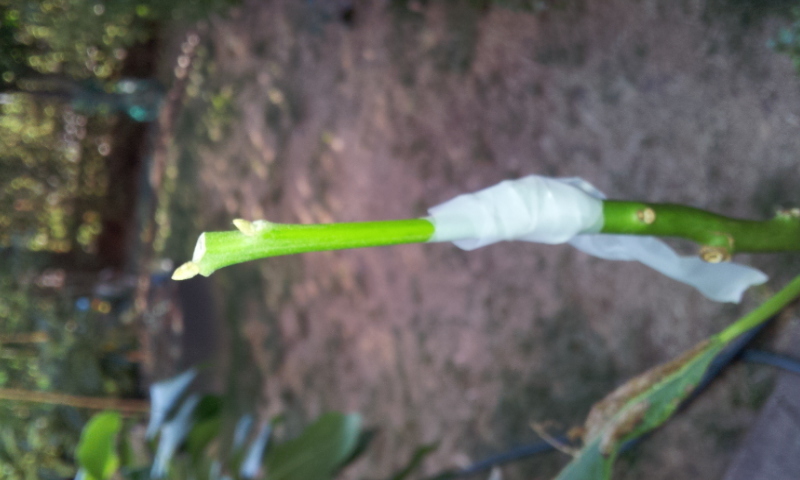 Yes you need to get the grafting sticks from the same type of Avo fruit variety you want to grow. 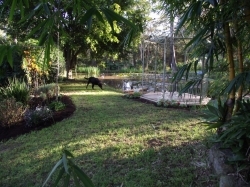 ie if you want to graft a Hass Avo, you need to get sticks from a Hass tree. Age of the tree you get the sticks from doesnt matter, as you are grafting from a grafted tree. That said a mature fruiting tree is probably the best source of sticks. 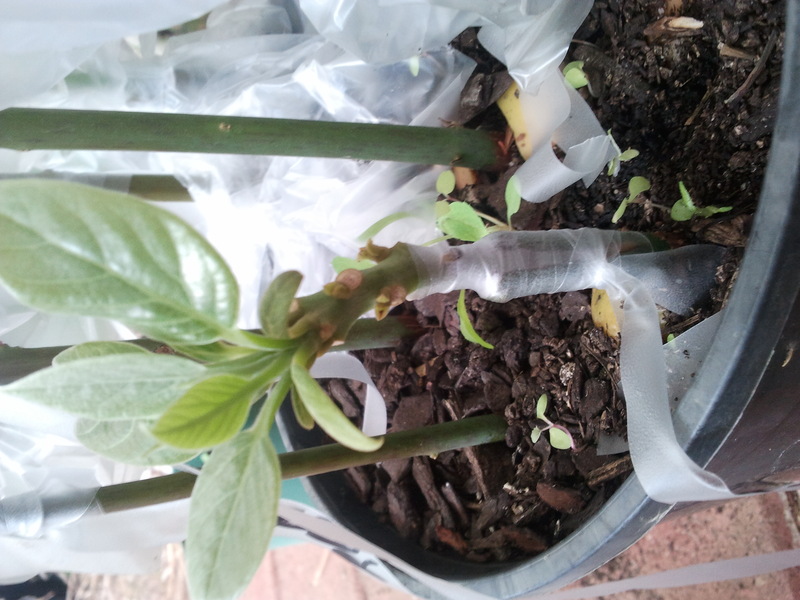 Also you need to size match the grafting sticks to your seedling. 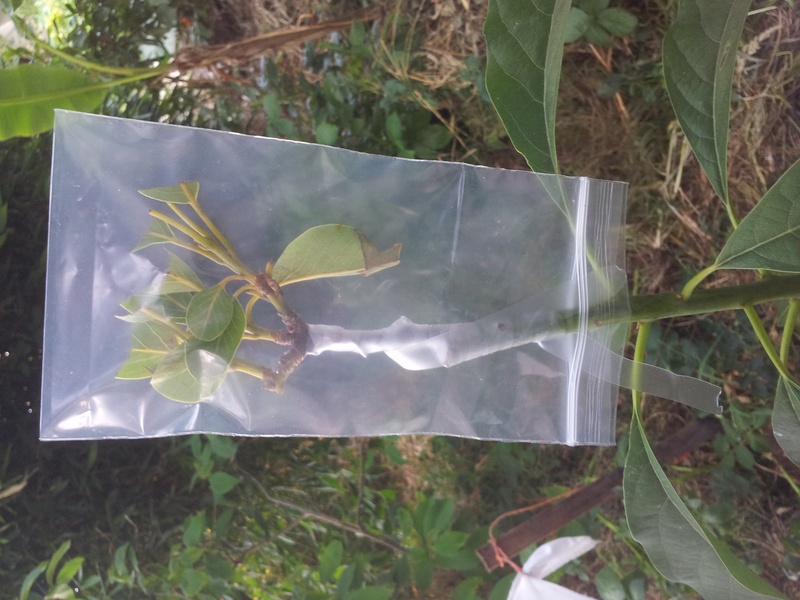 Usually terminal shoots/branch tips are used when grafting Avocados, as this sort of replaces what is cut off the seedling. 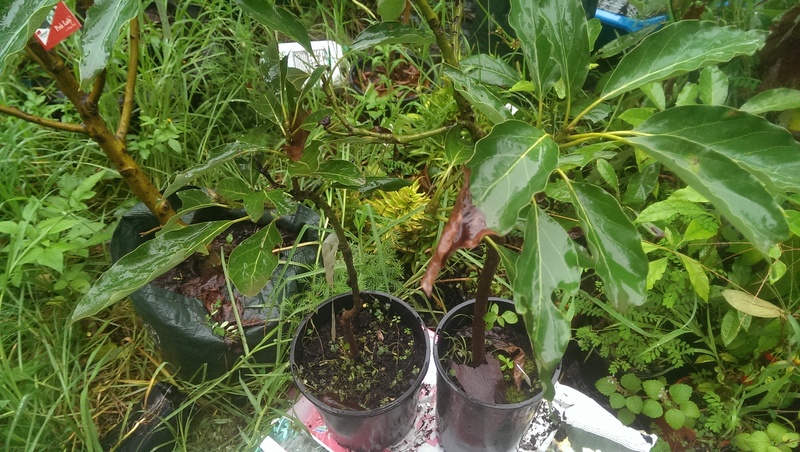 I have an Avo tree in the family, it is very mature, would have to be over 20 years old and more possibly, however it hasn't fruited or made flowers in a very long time, any advice on how to get it to start flowering and fruiting again?